What is the Conservation Futures Fund ballot measure? This advisory measure would allow Benton County to maintain and expand access to quality outdoor recreation and protect our county’s natural beauty and quality of life. The measure would create stable, reliable funding to preserve natural areas and farmlands, protect wildlife habitat and land around rivers and creeks, and increase outdoor recreation and educational opportunities. The Conservation Futures Act was established by the State of Washington in 1971 as a way for counties to raise funds to preserve open space. Why does Benton County need it? A Conservation Futures Fund would provide a unique opportunity to protect Benton County’s land, water, wildlife and recreational opportunities for future generations, and build on the local volunteer pride that has built and maintained our trails and open space. 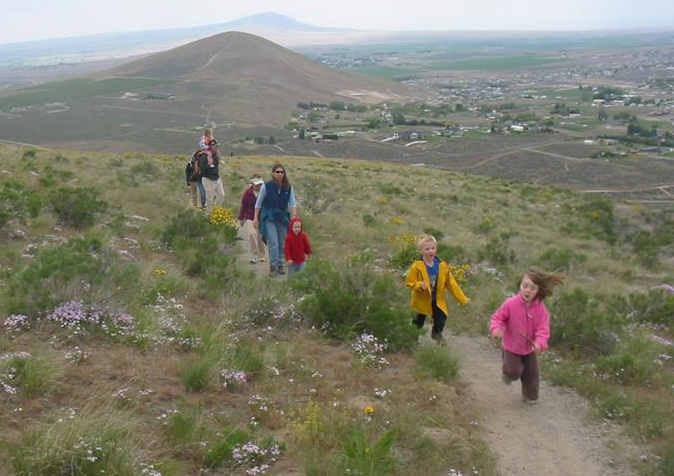 Visits at Badger Mountain have gone from 30,000 to 200,000 in just 5 years. We need to keep up with this demand and make sure the mid-Columbia remains a livable community where companies and businesses want to locate and invest. We need to create more trails and protect open space throughout the county. By having local funding we can make Benton County eligible for state and federal matching funds that would otherwise go to other counties. When will it be on the ballot? We hope to have it on the ballot in 2017. It will need a simple majority vote to pass. Benton County Commissioners would then need to respond to the advisory vote to create the actual Benton County Conservation Futures Fund. The Conservation Futures property tax would be assessed at no more than $0.0625 (6-1/4 cents) per $1,000 of assessed value, or $12 per year for the median Benton household with an assessed property value of $189,600, raising some $975,000 a year. This is not a graduated tax; it is a flat rate for all. What would the funding be used for? The Benton County Conservation Futures Fund would be used exclusively for acquiring park land and open space; preserving and maintaining farm and agricultural land; protecting wildlife habitat; improving and completing walking, hiking, biking and horseback riding trails; protecting land around rivers, creeks and lakes; and creating areas for children to enjoy nature and outdoor recreational activities. Projects would be nominated by the community. How can we be sure the funds will be used responsibly? The fund can only be used on local Benton County projects. Citizen oversight and annual audits will ensure that land and easement purchases from willing sellers maximize the return on the investment for the County. How long will this Conservation Futures tax last? The proposed sunset is 10 years. What does the public get out of it? 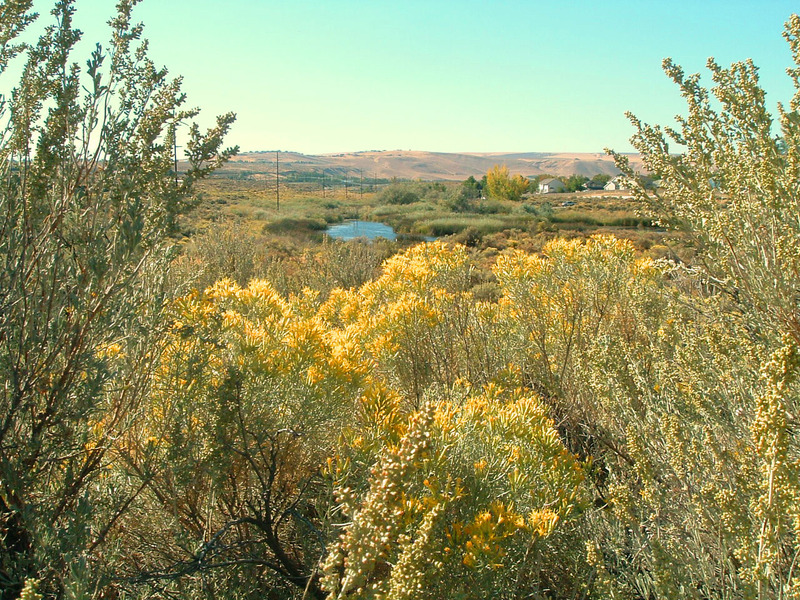 A Conservation Futures Fund would enable Benton County to be eligible for matching state and federal dollars to protect the mid-Columbia’s land, water, wildlife, and recreational opportunities for future generations. It would be an important way to stretch scarce dollars and protect lands that matter most to our future. Do any other counties in Washington have a Conservation Futures fund? Yes, 13 of Washington’s 39 counties have a Conservation Futures fund, including Spokane and Ferry Counties. In 2007, Spokane County voted 63% to continue its program with no sunset. Citizens are already working to buy land on Candy Mountain; why do we need to create a special Conservation Futures Fund? If Benton County had a reliable, dedicated source of funding it would enable us to seize opportunities to protect lands that are available from willing sellers, rather than having to mount a major fundraising effort each time critical lands are at risk. Once important lands are gone, they are gone forever. A Conservation Futures Fund would also make Benton County eligible for state and matching funds that will otherwise go to other counties in Washington State. Can the Conservation Futures fund be used to help preserve farmlands, orchards and ranches? The 1971 Act that enabled county creation of a Conservation Futures Fund, allowed for acquiring land, or interest in land, to protect open space, farm and agricultural, and timber land. Is motorized access allowed on properties protected by Conservation Future funds? The purpose of a Conservation Futures Fund is to protect the land for future generations. If motorized access is seen to be compatible with purposes for conservation it could be allowed. It would be determined by its management plan on a case-by-case basis. Once lands are protected with Conservation Futures funds, how will they be maintained? A Conservation Futures Fund allows for up to 15% of the funding to be used to administer and maintain properties protected through the Fund. No. Conservation Futures funds are explicitly not allowed to be used for condemnation of land. What happens if a Conservation Futures Fund measure does not pass? If the Conservation Futures Fund is not created, Benton County will not be able to take advantage of future opportunities with willing landowners to protect key natural areas and wildlife habitat when they become available, and it will take far longer to complete walking, hiking and biking trails. Some conservation opportunities will be lost forever. Who supported the 2014 measure? This measure was supported by Friends of Badger Mountain, League of Women Voters, Three Rivers Bicycle Coalition, Ducks Unlimited, Benton Franklin Medical Society, Red Mountain AVA Alliance, Tri City Herald, Purple Sage Riders, Tapteal Greenway, Lower Columbia Basin Audubon Society, and thousands of Benton County voters. Is this a graduated tax like income tax? No, this is a flat rate tax, a million dollar property owner pays the same rate ($0.0625 (6-1/4 cents) per $1,000 of assessed value) as the $200,000 property owner.